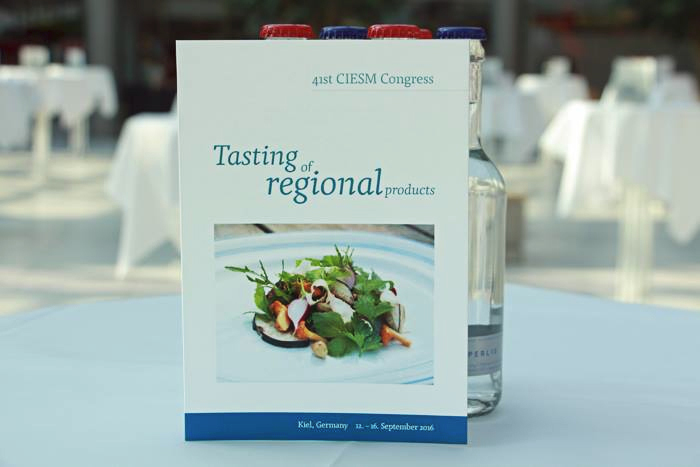 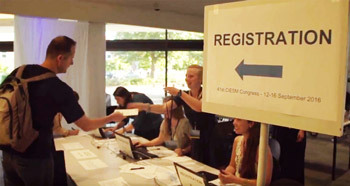 Morning of 12 Sept 2016 : the inauguration ceremony of the 41st CIESM Congress begins in the Audimax Center of Christian Albrechts Univ., in the presence of hundreds of marine scientists from 45 countries and of high-level officials from the Federal Government of Germany and from the Province of Schleswig Holstein. Moments before declaring officially open the 41st CIESM Congress, SAS Prince Albert II of Monaco was awarded the 2016 Deutscher Meerespreis for his initiatives in favor of the global marine environment and as a tribute to the achievements of CIESM which he presides since 2004. 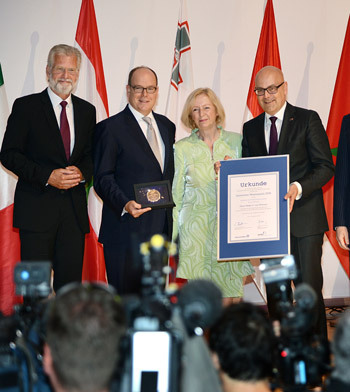 Photo opposite : Around Prince Albert, from left to right: Prof. Peter Herzig, Director of GEOMAR; Prof. Johanna Wanka, German Minister of Science; M. Torsten Albig, President of Schleswig Holstein. 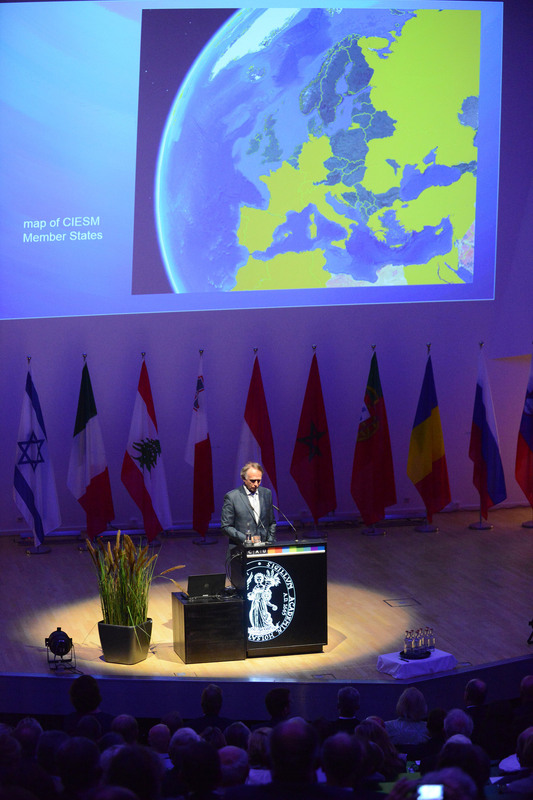 Photo opposite : Prof. Frederic Briand presents the fast expanding geographic cover of CIESM. 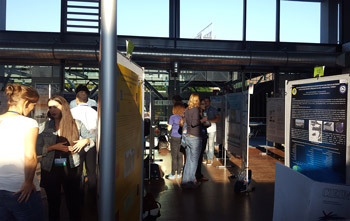 At the end of a full day, which included the first scientific debates and which saw the presentation in each committee of the finalists to the coveted posts of scientific Chairs, food and drinks were very welcome at the evening reception offered by the German Authorities at the Kieler Schloss. 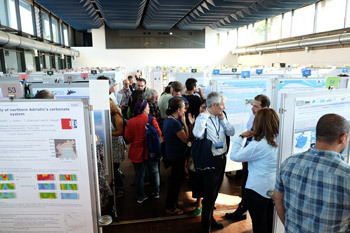 There was a great richness and diversity of sessions, structured around brief, dynamic oral presentations (designed to attract interest and each author doing the best in few minutes to attract interest and even crowds for in-depth questions around her/ his poster on the next morning – it worked !!). 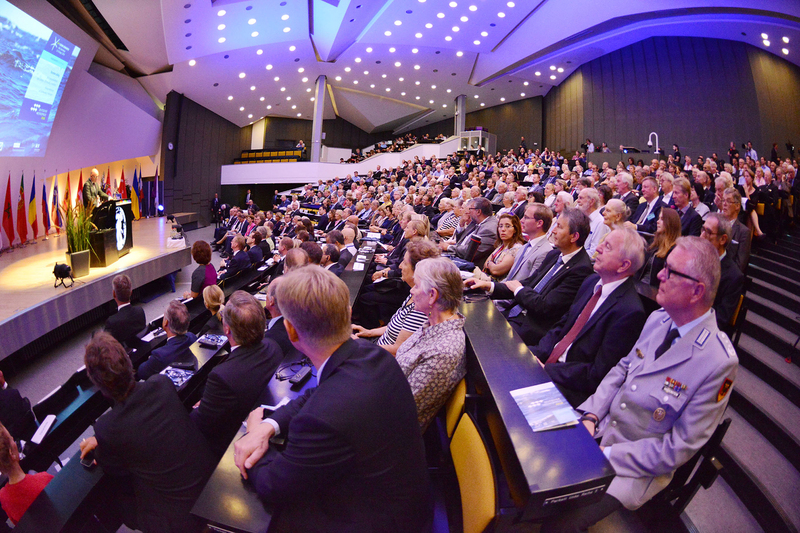 They included lively debates guided by moderators - invited from northern latitudes so as to spice up the discussions. You will find their lucid, often stimulating syntheses here. 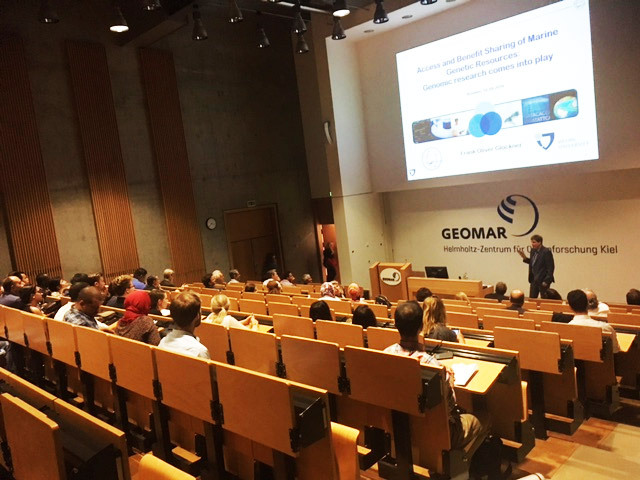 The Directors of two pillars of German oceanography – GEOMAR and AWI – were invited to give a plenary lecture on Tuesday and Wednesday mornings. Prof. Peter Herzig presented an overview of the main activities and objectives of GEOMAR, headquartered in Kiel, which maintain an active fleet of oceanographic vessels for open ocean research., together with new tailored-made ROVs and AUVs to explore deep sea habitats. 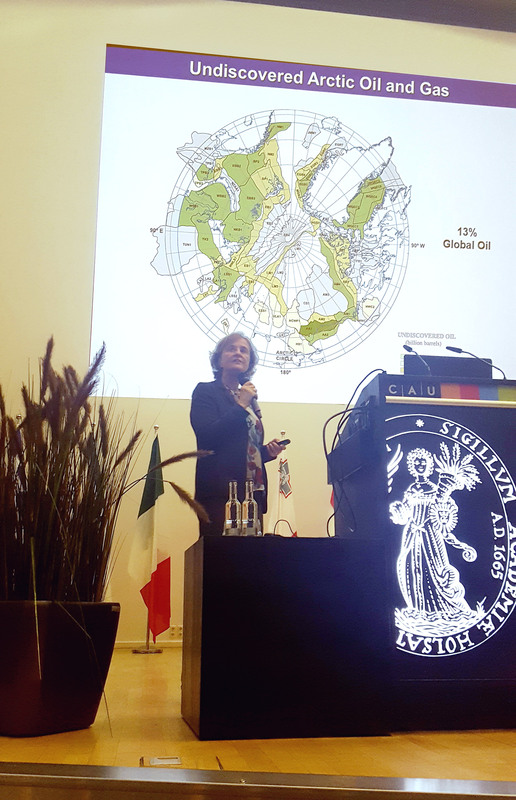 The conference of Prof Karin Lochte, Director of AWI focused on polar research in both polar regions (see facing photo). 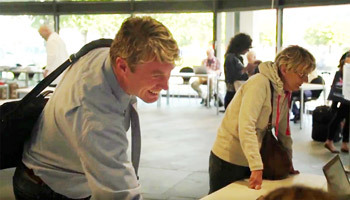 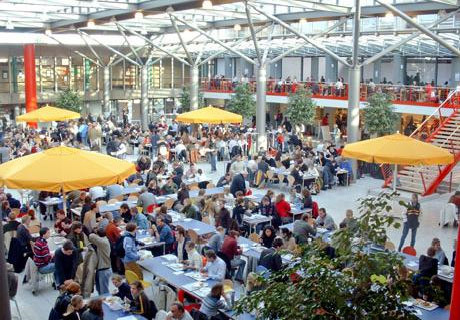 Wednesday afternoon, tasting of regional products in the University Mensa, from crab soup to honey and thyme cheeses. 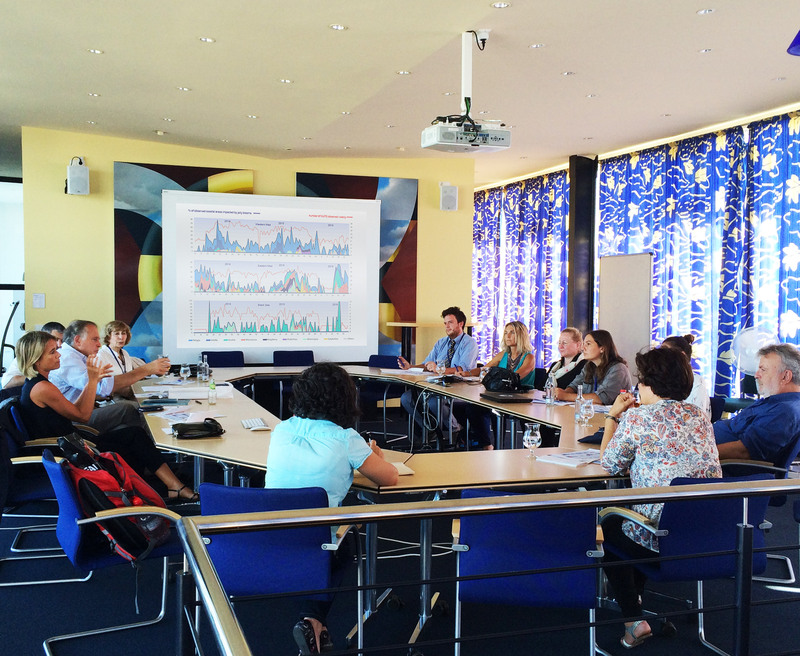 A moment in the roundtable meeting of Thursday morning, where the time series acquired in the past 30 months by the CIESM Jellywatch Program, from the Alboran Sea to the Sea of Azov, were discussed with the Program's focal points who had made the trip to Kiel. The Congress is also an opportunity for discussing progress and future developments of CIESM basin-scale scientific programmes which regroup oceanographers from many Institutions across the Mediterranean basin. Here a picture of Dr Katrin Schroeder, Hydrochanges Programme Coordinator, presenting HC latest achievements. The following discussion covered data exchange and the future extension into the Black Sea. A busy moment in the University Mensa, “the” place to meet friends and colleagues over lunch, after visiting the Poster Hall located in the mezzanine. A third morning roundtable meeting, led by Dr Paula Moschella (unfortunately masked in the photo), focused on the advances of the CIESM Tropical Signals Program, and in particular the successful development of its Local Ecological Knowledge feature which was also the subject of an afternoon session. 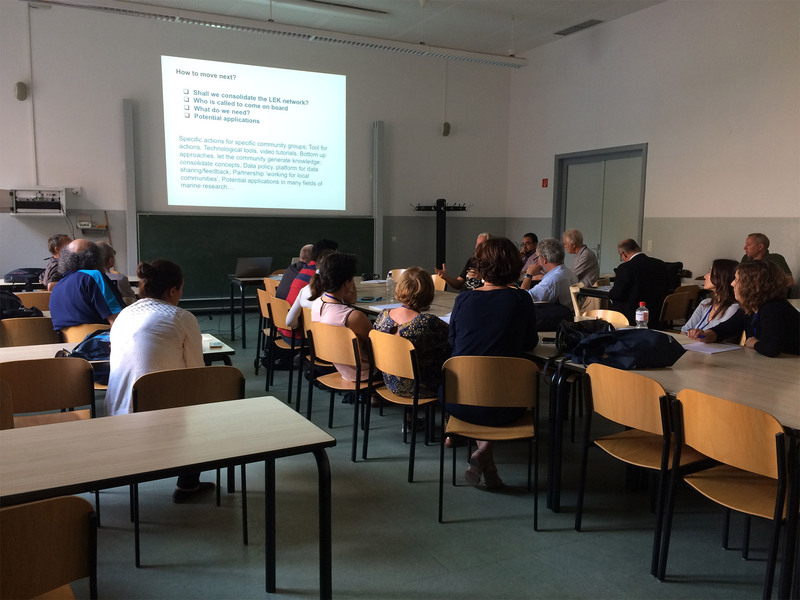 There the speakers of the previous afternoon had ample time to discuss in detail their research. 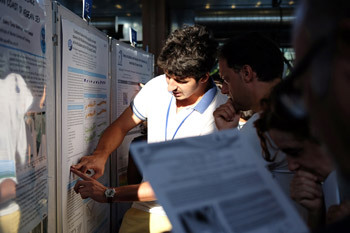 This dynamic format (flash ppt presentations followed by poster discussion) promoted high interactivity among the Congress attendees, facilitating in particular exchange between students and senior scientists. 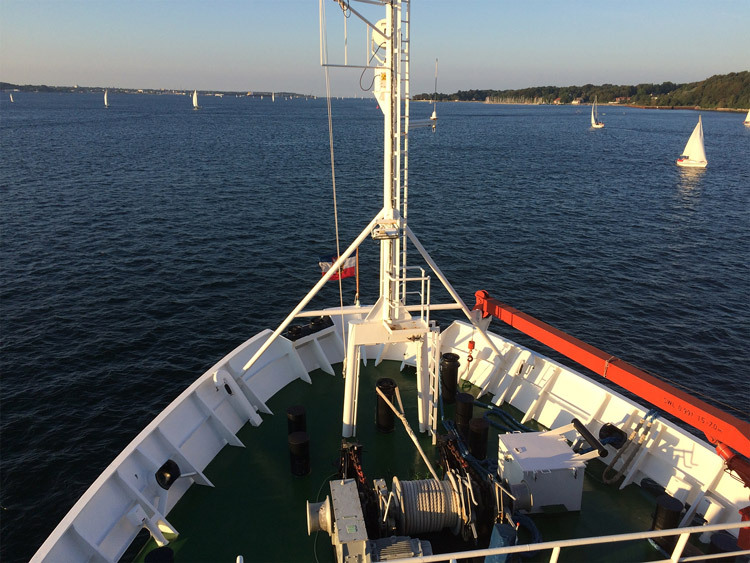 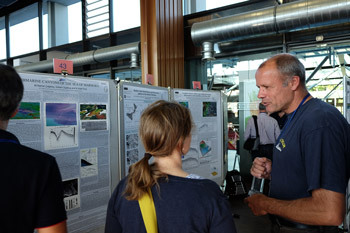 More than 450 research contributions (each in the form of a ppt communication and a poster) where presented in Kiel around 77 distinct scientific sessions. 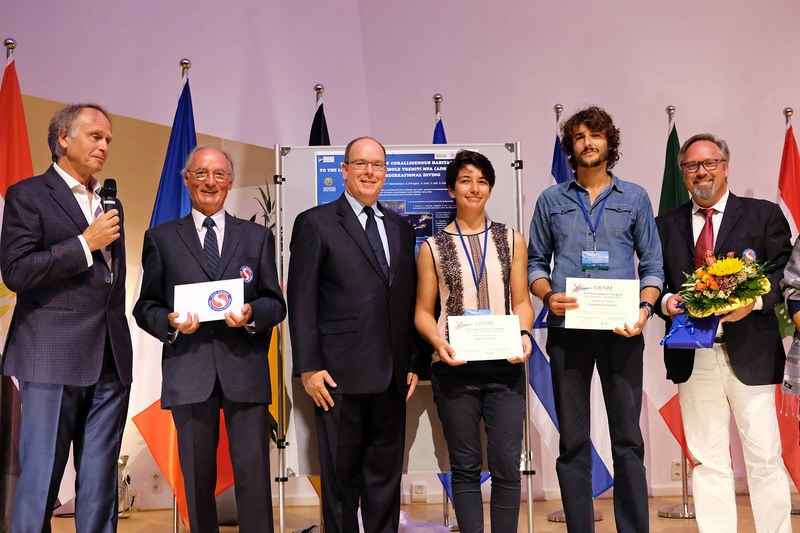 On Friday 16 September, the best poster awards for young scientists were presented by CIESM President and Director General. • and a Special Prize of the Jury to Rym Bachetarzi (3rd from right), Univ. 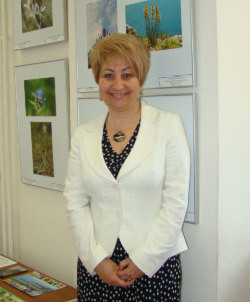 of Science & Technology Houari-Boumedienne, Alger, Algeria, for her work on Biodiversity marine assessment of Agueli Island (Wilaya of Algiers) Algeria. 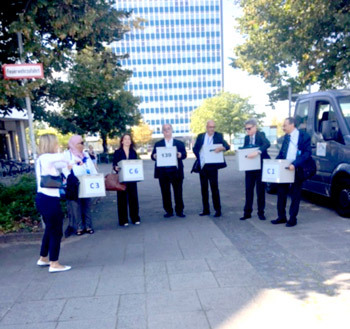 The secret ballot ended on Thursday 14th, at noon, when National Delegates of the CIESM Board collected the six ballot boxes – one for each committee - and proceeded to the screening and counting of the votes. 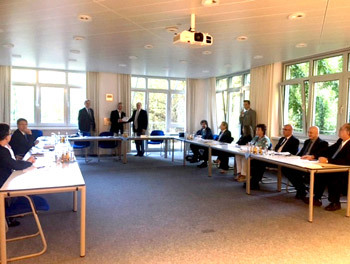 Finally, the candidates selected by the majority of the voters are confirmed by a second session of the Board, presided by Prince Albert of Monaco, who is seen here congratulating the German Representative Prof. W. Christian Dullo for his overall stellar performance in support of the Kiel Congress. 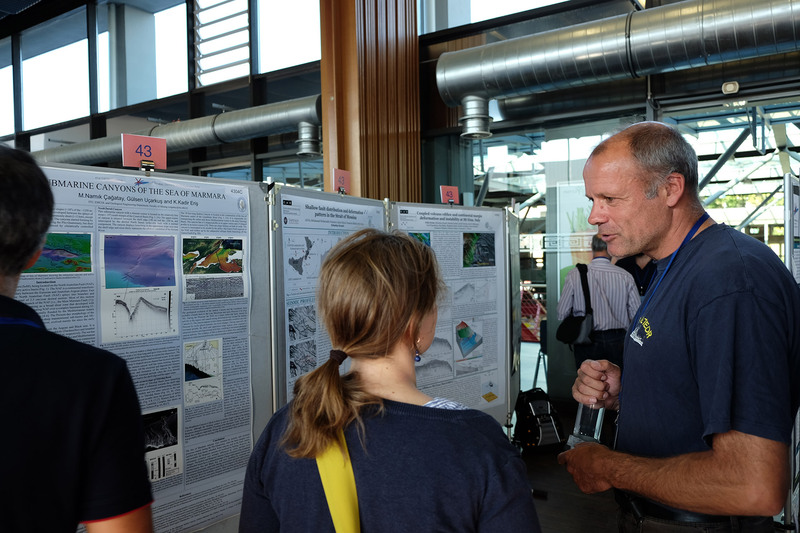 The results of the election of the Science Council were announced in plenary by Frédéric Briand, right after the best poster prize award. The newly elected Chairs of the Scientific Committees are all here, except for one (see below). 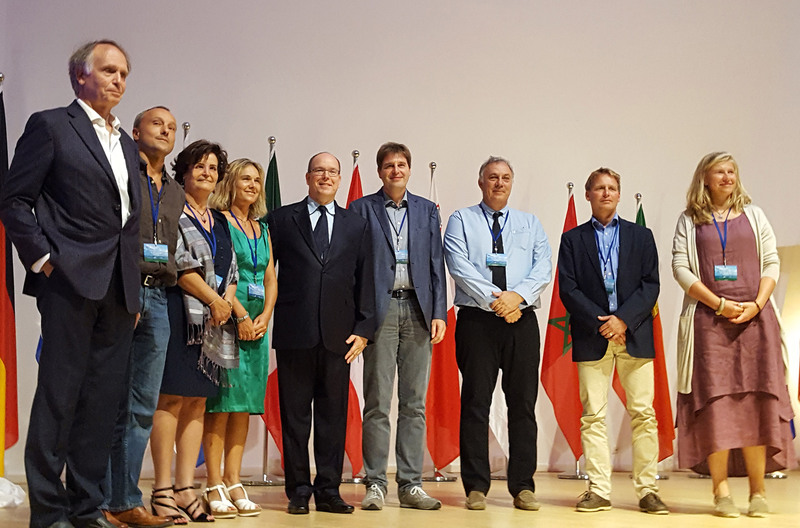 One finds from left to right around the President and DG of the Commission: Ernesto Azzurro (C6), Jamila Ben Souissi (C5); Salud Deudero (C5); Frank Oliver Glöckner (C4); François Galgani (C3); Toste Tanhua (C2); Silvia Ceramicola (C1). 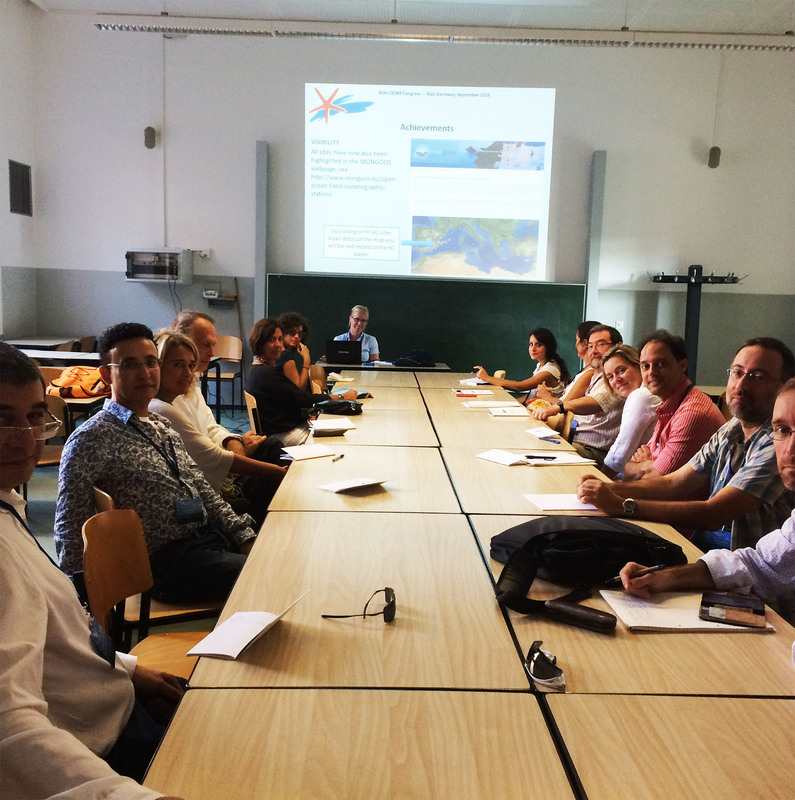 They will act as CIESM “ambassadors” for marine research for the next triennium (2016-2019). 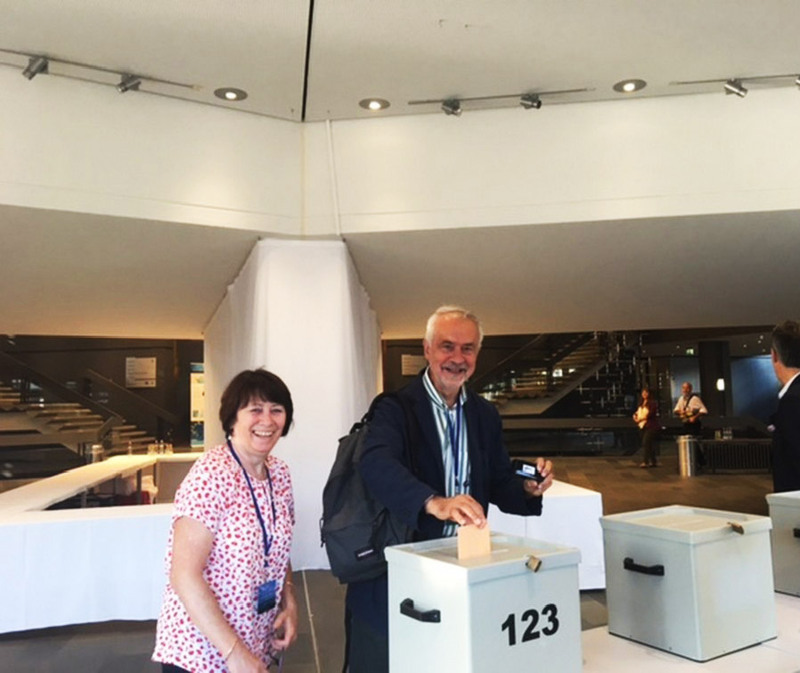 Nataliya Milchakova, Deputy Director of the Institute of Marine Biological Research of the Russian Academy of Science, Sevastopol, Crimea, was elected by a very wide margin as a co-Chair of Committee C5 despite being prevented from joining the Congress in Kiel. She will be warmly welcome by the other members of the new CIESM Science Council.